Watch 'The Grand Budapest Hotel' with a Wes Anderson-inspired Gelato Messina dessert in-hand. While we hope your relationship doesn't involve prison escapes, henchmen and war, Wes Anderson's (arguably) greatest love story does. And, this Valentine's Day, you can watch it with a limited-edition Gelato Messina dessert in-hand. Surry Hills' cinema Golden Age will be screening the star-studded The Grant Budapest Hotel twice on Thursday, February 14 — at both 6.10pm and 8.30pm — and every filmgoer will score a complimentary Messina de Chocolat. 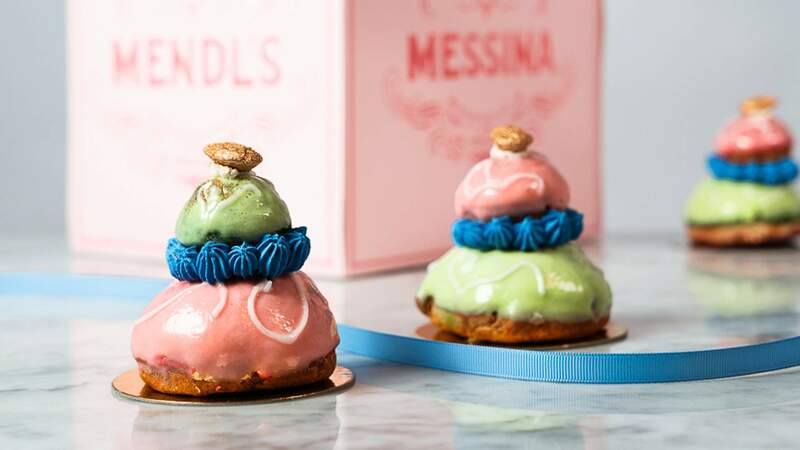 Inspired by the Courtesan au Chocolat made by Mendl's Patisserie in the film, the individual towers of choux pastry are filled with chocolate fondant gelato, glazed with pink and green pastel icing and topped with a golden almond — and served in the oh-so-familiar millennial pink boxes. As usual, Golden Age's bar will be open before and after the flick, so you can have a date night cocktail and snack, if you so please.